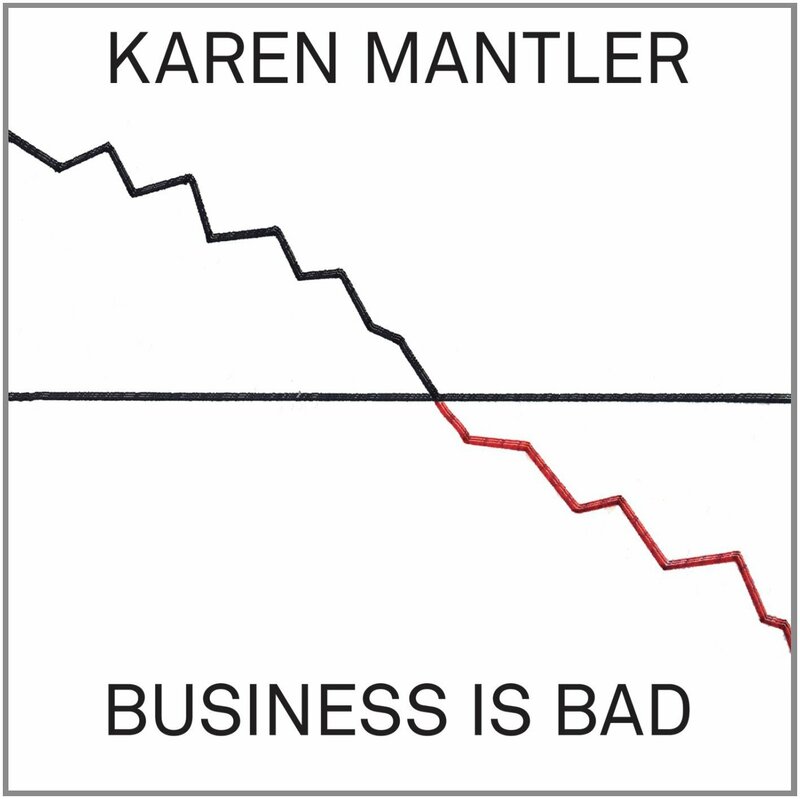 Karen Mantler is more than the sum of her genetic parts. As the daughter of Michael Mantler and Carla Bley, one might expect her to be any number of things, but ultimately she has come into her own as a singer-songwriter of understated brilliance. It’s difficult to capture the profound simplicity, it not the simple profundity, of her lyrics, much less so the skeletal arrangements in which she couches them in trio with bassist Kato Hideki and Doug Wieselman on guitar and bass clarinet. There is an innocence and charm about these songs, but also a maturity that only comes with the ups and downs of life experience. Mantler focuses decidedly on the latter throughout Business Is Bad, which paints the portrait of an artist starving through deprivations at once social, linguistic, climatic, emotional, legal, artistic, and geographic. Practically dripping with self-awareness, each is a vignette of insight into the working mind of a mind at work. Whether taking on the plight of the homeless in “Catch As Catch Can” or lamenting airport closures caused by “That Damn Volcano” (which, one can only assume, refers to the eruption of Iceland’s Eyjafjallajökull in 2010), Mantler’s slack-jawed lyricism discloses a tongue in universal cheek that wags almost like a child’s, filtering out none of life’s pessimistic moments. With deadpan humor and the meticulous support of her bandmates, she comes across like bold print on the page, a DNA helix gone rogue. Despite the album’s gloomy pall, there’s much whimsy to be savored, and much of it self-deprecating. The bossa nova skin of “My Magic Pencil (Wrote This Melody)” does little to conceal Mantler’s delightful frustrations over the wanderlust of her most ubiquitous compositional tool. “Speak French” conveys the disadvantages of being monolingual, seesawing English and French like a language instruction tape. On a subterranean level, however, it is a song about the musician’s desire to be heard—all the more ironic, because music is one of the very few languages that transcends such arbitrary barriers. Even when she sings of dead ends, lost causes, and a faithless system in “I Can’t Afford My Lawyer,” she makes as astute observation on the nature of art, which becomes little more than a profit machine built around people’s misfortunes. And in the nervous “My Solo,” in which she expresses a lack of confidence in playing exactly that, she nonetheless produces a songful harmonica solo in the album’s longest, and prettiest, instrumental section. Between jazzier, diaristic observations (see “Wintertime” and the title track’s funkier blues) and the requisite breakup song (“Surviving You”), Mantler jumps from the quotidian to the philosophical in a single keystroke. If this is your first Mantler album, these extremes may either repel or enchant, but one thing is for sure: her songs are a gust of fresh air in a musical landscape gone dry. 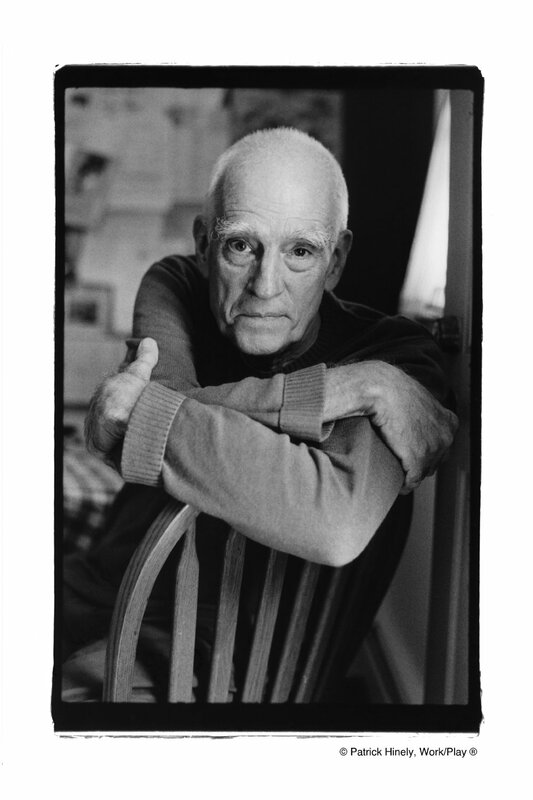 Over a career spanning more than half a century, Steve Swallow has consistently redefined the electric bass as a jazz instrument. More importantly, he has taken any and every opportunity along the way to deepen his craft as a composer. His self-discipline in this regard has made every album seem at once a culmination and a stepping stone into greater futures. Into The Woodwork is no exception. 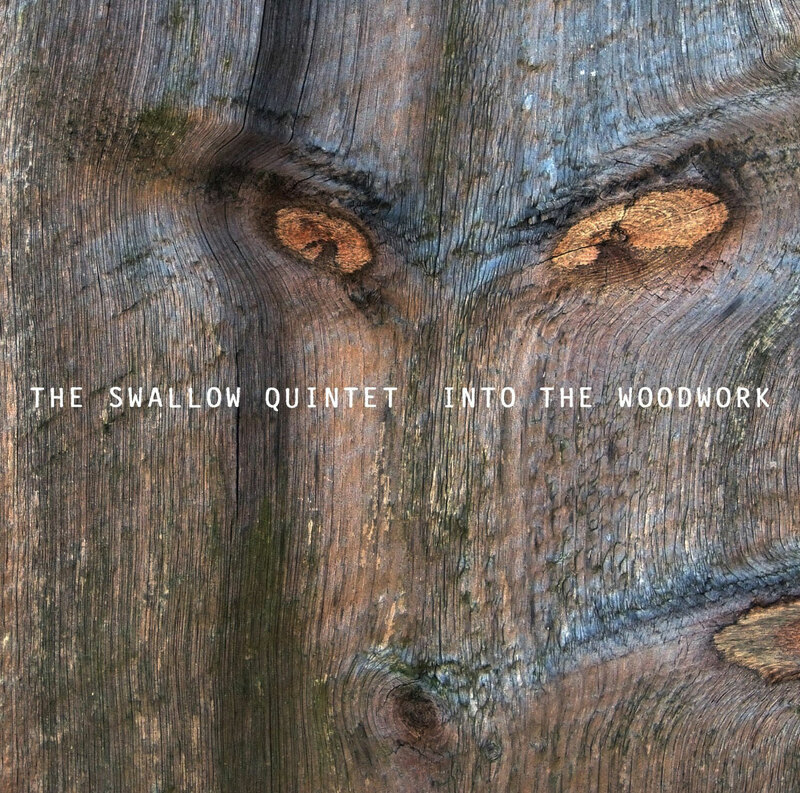 For this latest incarnation of his quintet, Swallow has chosen a lineup worthy of the subtlety on which these 12 original tunes nourish themselves. The tenor of reedman Chris Cheek, who made a noticeable ECM appearance as part of the Paul Motian Band on Garden of Eden, brings the smoke before the fire in “From Whom It May Concern,” a ballad that tilts its own thematic mirror toward artful reflection. Cheek also plays beautifully in “Unnatural Causes,” from the paint-by-number simplicity of which he unpacks the robustness of an unexpected spectrum. This tune is further notable for the contributions of guitarist and fellow Motian associate Steve Cardenas, whose unforced geometries settle us into the album’s intimacies by way of “Sad Old Candle.” Cardenas, in fact, proves to be the quintet’s greatest converser, whether exchanging remarkable banter with Cheek (“The Butler Did It”) or playing in duet with Swallow (“Suitable For Framing”). 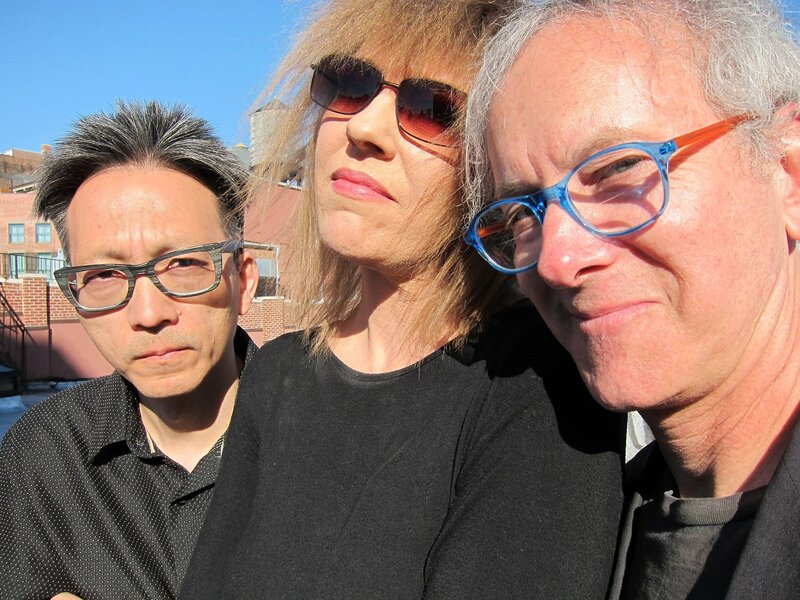 His lyricism pairs well, too, with the organ of Carla Bley, whose own omnipresence reveals another defining mastery in tunes like “Never Know,” “Still There,” and “Grisly Business.” The latter’s gentle carnivalesque is ideally suited to her touch at the keys. Drummer Jorge Rossy is a constant thread to which the band looks for guidance, but especially in the more energetic turns such as “Back In Action” and “Exit Stage Left.” His understated groove actualizes Swallow’s ethos of less as more, and demonstrates that self-assured music need never be arrogant. And then there’s Swallow himself, whose first true solo doesn’t come until the album’s ninth track, “Small Comfort” fans the embers. The edge of his new custom bass sounds already finely aged over this bed of organ and cymbals, exposing a little more of his inner workings as brushed snare and tenor pull back the curtain to clarity. In contrast to the steadied pacing of Swallow’s ECM outings, many tunes on Into The Woodwork flow into the next without break, thus keeping his atmospheric integrity in constant check. Like the title track itself, the album as a whole finds balance between the grounded and the free, always keeping one arm around the listener’s shoulder. The fact that this music doesn’t overtly challenge is a challenge in and of itself to experience its strengths as givens. Like an old friend, it may not often surprise, but its comforts are exactly where they need to be.